There's no question that women with PCOS suffer from more mood problems such as depression and anxiety than those without the syndrome. For some women, mood issues can be a result of dealing with all the problems PCOS brings: dramatic body image issues, fluctuations in blood sugar, loss of control over weight, difficulty managing the syndrome, infertility, and lack of support. Mood problems can also be brought on by hormone imbalances. There is some good news for the millions of women who struggle with mood problems: omega-3 fatty acids, particularly the kind that come from fish, may help manage mood. 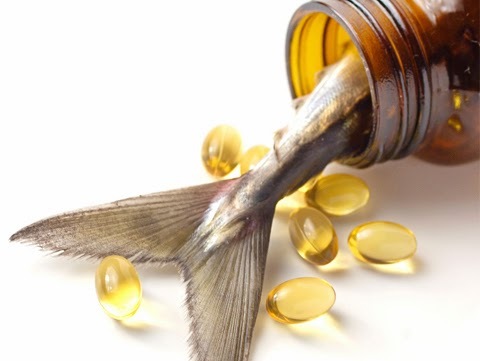 The two main types of fish oils are eicosapentaenoic acid (EPA) and docosahexaenoic acid (DHA). All of us need these omega-3 fats from our diets as our bodies can't make them. That's why they are referred as essential fatty acids. Fish oil is preferred to plant-based omega-3's (flaxseed, canola oil) because our bodies use them best. Women with PCOS benefit from fish oil as it has been found to be effective at improving ovulation, triglycerides, insulin resistance and inflammation. Click here to read more about fish oil's important role in PCOS. Both the presenters and the American Psychological Association recommend those with mood disorders take 1-2 grams (1,000-2,000 milligrams) per day of EPA + DHA as an adjunct treatment, to be used along with therapy and antidepressants. Government guidelines recommend eating cold-water fish twice a week, yet that amount is insufficient to reach the therapeutic amount recommended for improving mood. That's why fish oil is preferred. Despite the data, it still isn't clear if omega-3s can be used as mood stabilizers or which type of omega-3 is most beneficial. Current studies are exploring this. Fish oil offers numerous benefits to women with PCOS. Women with PCOS may find that taking sufficient amounts of EPA+DHA when combined with therapy and medications, helpful to stabilize mood and improve depression.